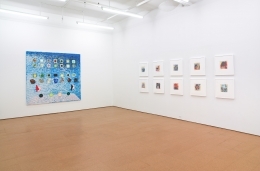 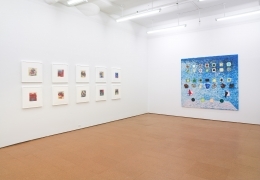 This was Whitten’s third show with the Gallery, consisting entirely of new work. 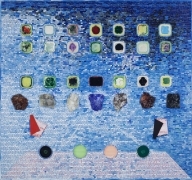 Anchoring the exhibition is the large scale painting, Apps for Obama (2011) crafted in Whitten’s signature method of “acrylic collage.” Spanning a spectrum of intense blues, shimmering like sky and water, the painting combines tesserae with cast forms of acrylic paint, each their own sculptural shapes and colors. 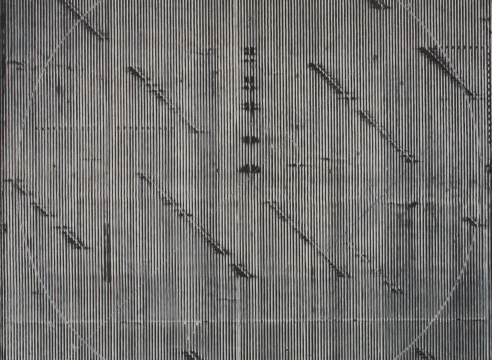 A half-grid of floating forms, akin to an iPad home screen, structures Whitten’s metaphor of applications thereby implying multiple voices, choices and solutions to be harnessed in response to current political events. 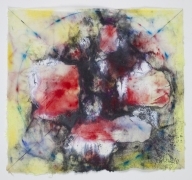 Demonstrating Whitten’s ongoing experimentation between drawing and painting, eighteen associated works on paper are also on view. 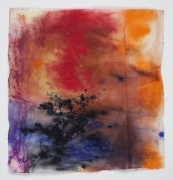 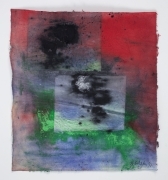 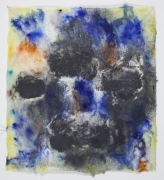 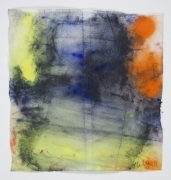 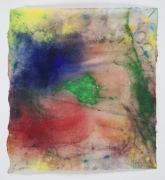 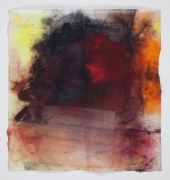 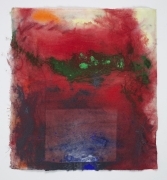 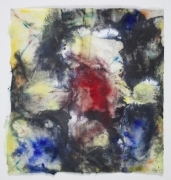 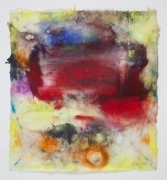 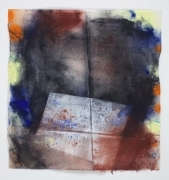 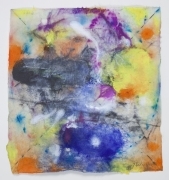 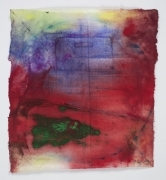 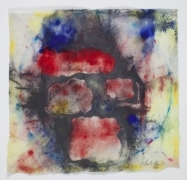 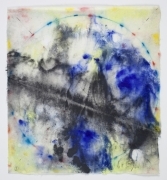 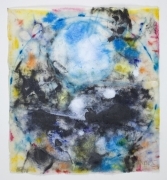 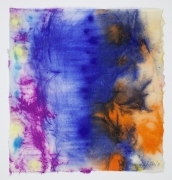 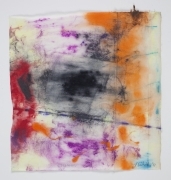 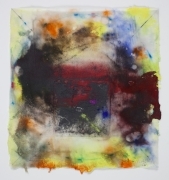 Densely soaked with color on Japanese paper, these drawings combine techniques of batik, monoprint, drawing and painting, resulting in a group of textural polychromed surfaces. 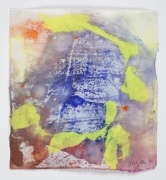 Each small-scale work in the aptly titled Saturation series forms a larger impression through the use of bold color, layered marks and geometric forms.